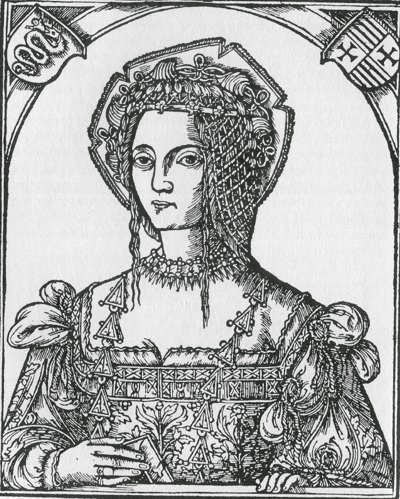 Bona Sforza, Queen of Poland: "Her Yoke Chafed"
Raised at the brilliant Renaissance court of Milan, Bona Sforza was well educated, her studies including the discipline of statecraft as well as languages, literature, and music, more traditional occupations for women. * And, by the way, she is Caterina Sforza's niece, the daughter of Caterina's half-brother, Giangaleazzo, and his wife, Isabella of Aragon (also, by the way, a Sforza, the daughter of Ippolita Sforza). In 1518, Emperor Maximilian, the long-standing ally of Milan, arranged the young woman's marriage to Sigismund, the king of Poland; the formal wedding ceremony and coronation took place in Naples on 18 April 1518. Bona proved to be successful wife, mother, and politician: as a wife and mother, she promptly bore her husband six children, including four daughters, Isabella, Sophia, Anna, and Catherine Jagiellon. As a politician, Bona proved herself skillful in maintaining good relations with the contending European powers, including Spain and the Habsburgs and France. She was, in historian Roland Bainton's estimation, able to manipulate this "unstable balance" of powers to Poland's advantage by her "adroit and even devious diplomacy." Nor did she ignore domestic politics, where her aim was to strengthen royal power. Thus "she undertook to make Poland a centralized national state in accord with the pattern emerging in Spain, France and England," working to check and balance "the power of the lords, lay and clerical." She handled the appointment of bishops (with papal permission and her husband's consent), undertook agricultural reform, regained crown lands that had been granted to the nobility, and arranged for her ten-year-old son to be crowned king during his father's lifetime. She began a vast building program, provided for mercenary armies, and arranged a series of politically advantageous marriages for her children. Along the way she enriched herself as well as the royal treasury, which drew criticism, though her efforts "to relieve Poland by bringing in the revenues from her Italian estates" drew no praise. Bona exerted a powerful influence on the form of the modern Polish state not only by reason of her intellectual gifts but even more because she possessed a profound feeling for the essential needs of the state. She fused completely the foreign Italian strand with the emerging Polish national movement. In the social and economic sphere she aspired through her excellent reforms to create a strong authority based on just distribution of goods. In many respects Bona was ahead of her times and that was the tragedy of her life. The "tragedy" of her life occurred after her husband's death, when Bona's son Sigismund Augustus, now king of Poland, rejected the political marriage his mother had arranged for him with Anne of Ferrara, daughter of the duke of Ferrara and his wife Renée of France, the daughter of Louis XII of France. Sigismund preferred Barbara Radziwill, daughter of a Lithuanian noble, whom he married secretly in 1547. 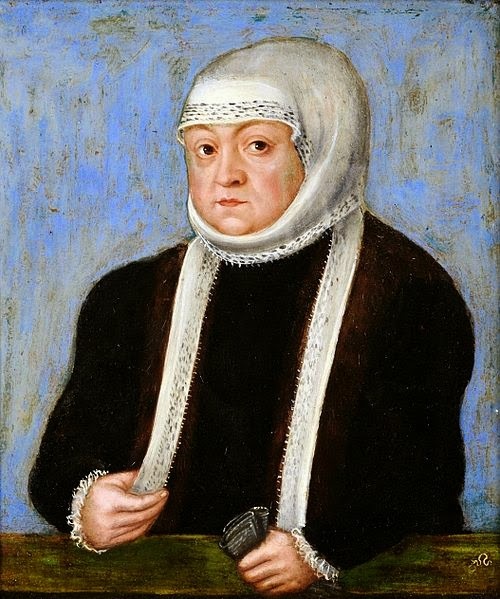 Bona was not the only one to object to her son's marriage; the Polish diet insisted that Sigismund repudiate his bride, but at length, in the face of Sigismund's insistence, they accepted her. Barbara died, childless, in 1551, and although Bona had reconciled herself to her daughter-in-law, she was suspected of having poisoned her. Bona was not reconciled to her son, however, and she decided to return to her Italian duchy of Bari for health reasons, as she claimed. Her son opposed her departure from Poland. "She wants to get back to Italy just to get her hands on all the properties of Bari, Rossano and Naples and to cut me off from my rightful inheritance from my grandmother," he objected, adding that as queen dowager she "should not be permitted to leave" Poland, even if it meant she should be imprisoned--"though it would grieve" him "greatly." It would, after all, be a "genteel incarceration." But the Polish diet agreed that Bona should be allowed to go, and she left Poland in November of 1556, nearly forty years after her marriage in 1518. Bona's return to Italy gave her no peace, however. Philip II of Spain, having defeated the French in Italy, was determined that she should cede to him her claims in Naples and "appropriated" much of the income from her estates. She died in poverty in 1557 and was buried in Bari. Despite her talents and abilities, Bona Sforza was resented in Poland, viewed with a mixture of dislike and suspicion. Bona had several counts against her. She was a woman. Of course a woman could exert a powerful influence. Witness Isabella in Spain and Elizabeth in England. But Bona was resented in Poland, when as the old king grew enfeebled, she usurped authority, not only from him but also from the nobles. . . . A further count was that she was not Polish. Isabella was Castillian and Elizabeth an English Tudor. Italianism, was, to be sure, for a period very much the vogue in Cracow. At the same time many Poles resented the Italians and especially one reared in the atmosphere of the political intrigue characteristic of the despots of the Italian Renaissance. . . . Added to all this was her manner. Tomicki, her most faithful chancellor, confided to a complainer that the queen was imperious, blustering and badgering. Sometimes she was brutal. When a blind archbishop stood in her way she told him she wished he had lost not only his eyes but his tongue. Her yoke chafed. There is no biography of Bona Sforza in English--I've quoted from Roland Bainton's Women of the Reformation from Spain to Scandinavia here. Wish I could read Polish--Maria Bogucka's Bona Sforza was published recently, but there's also a massive biography by Wladyslaw Pociecha, Królowa Bona, 1494-1557, published in four volumes (1949-58). *This brief sketch of Bona Sforza has been adapted from The Monstrous Regiment of Women: Female Rulers in Early Modern Europe.